Whenever you experience any degree of lower back pain (LBP), it means that your body is in a state of dysfunction. Your pain is there to wake you up to this fact. And it is trying to get you to take instigate you into taking corrective action. What I want you to understand is that it didn’t have to get so bad in the first place. That’s because before there was any pain, there were likely more subtle signs trying to get your attention. Unfortunately, most athletes that I’ve seen with LBP ignored these signs. But that’s only because they didn’t know they existed in the first place. Nine times out of ten, it’s a case of they “don’t know what they don’t know”. They misread what those signs meant and what, if anything, they could do about them. To come “into the know,” read on. Asymmetry in strength and mobility in the body from right-to-left or front-to-back. Having too much stiffness around some joints. Which leads to having too much looseness around other joints. Even though you may not understand what each of these signs means now, I want you to know that they are all interrelated. So even if you start with one, it can lead to another and another. That is until you stop the dysfunctional domino effect before you reach the point of pain. 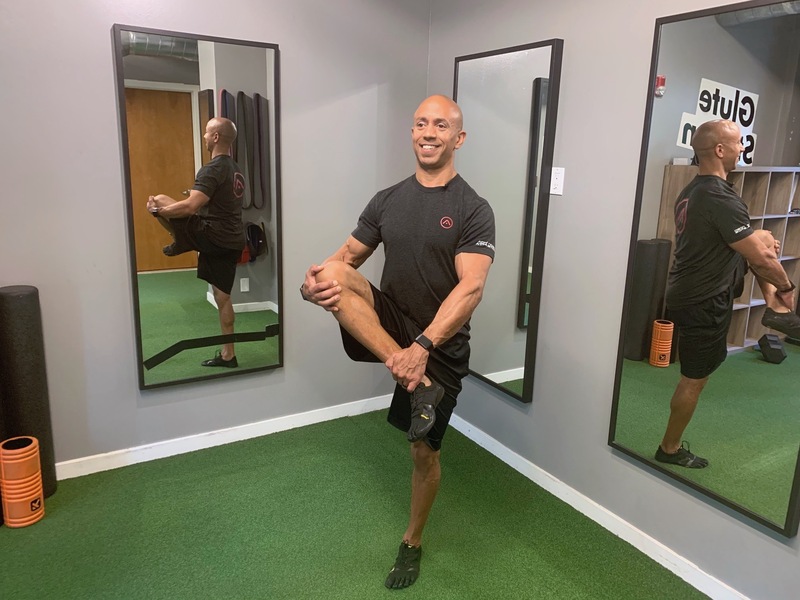 In my upcoming articles, I’ll breakdown each of those signs so that you can better recognize them, starting with the importance of your single leg balance. Then, I’ll direct you on how apply the right self-care to stay free of pain and injury. Until then, remember to stay athletic.